From November 19 to 21st 2018, more than 2000 students had the opportunity to attend conferences given by Pr. Yunus. 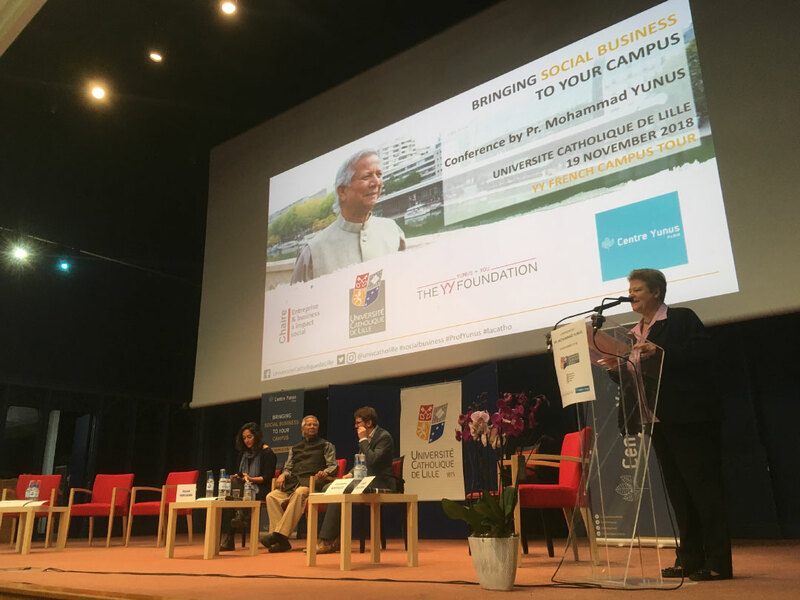 Organized by Centre Yunus with the support of YY Foundation, The YY Campus Tour aims at raising awareness on social business among students. 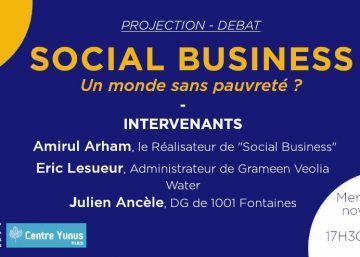 Those exceptional events allow the academic world to deepen their knowledge of social business an alternative economic model to build a more human and sustainable society. “The current generation of young people was born with amazing technologies in their hands. 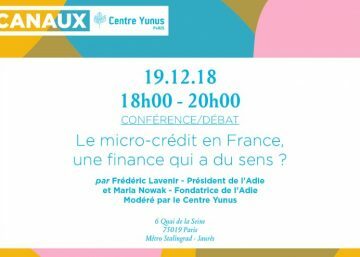 That has made them potentially the most powerful generation of human history.” This is the message that Muhammad Yunus gave during the conferences he successively gave at Lille Catholic University, SciencesPo and ESCP Europe in Paris. Those conferences represented a unique occasion for students to discuss directly with the social business pioneer. Several students, associations and local social business got on stage by his side to join the conversation (Noise, Mamie Foodie, Kabubu, Bon et Bien). In parallel, our team organizes collective intelligence workshops in each campus. They gather up to thirty students and allow them to dig deeper and take action within their university. With this tour, Pr. Yunus also aims at encouraging the creation of Yunus Social Business Centers. More than 65 centres now exist worldwide, including HEC – Chaire Entreprise et Pauvreté et La Sorbonne – Chaire ETI en France. Founded in partnership with Yunus Center, YSBC intend to train students to social business. Indispensable ally for Pr. Yunus philosphy, they are first forefront actors in the diffusion of social business among the youth. The next steps of the YY Campus Tour in France will be communicated soon. Stay tuned; maybe Pr. 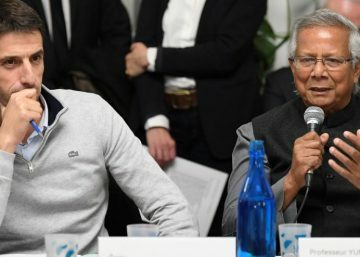 Yunus will visit your campus?